Shelley Bean: Sitting Here---And thinking about a giveaway! Happy Saturday! I have another card to share with you today. I got my inspiration from a combination of a few cards I saw on Pinterest. This card showcases a new stamp set that you can order from the 2016-2017 annual catalog. The stamp set is called Sitting Here. The set actually showcases a full hanging bench, but I trimmed some off the side and detached the swing part of the stamped image to form a leg for the bench. I think it works pretty good. This set also includes a few other items that can be used to take the theme further. I do think this is a lovely set. 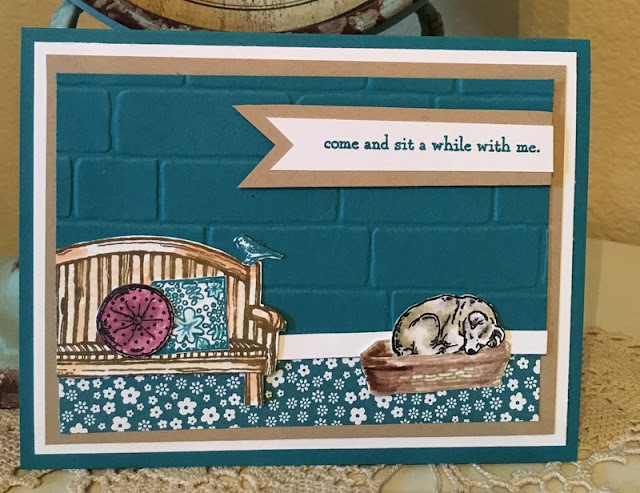 I created a background wall using the brick texture folder and some of the Indigo Island designer series paper for the rug under the bench. The cards stock used additionally is Whisper White and Crumb Cake. I used some of the blender pens to work in the inks to make it a little bit water colored. Now....how about a giveaway? The prize is pretty awesome! Now through May 25th, for every comment left at my blog from this day until the 25th, on any post...you are added into the drawing. So, you may question...what if I comment on all posts leading up to the winner announced May 25th? Each time you comment, you are entered again. Pretty cool?! Tell your friends and come back often. So come and visit often to increase your chances!! I love this set you've made your card with! I think it's my favorite set from the new catalog! Great idea to use the swing as a bench... and I love the brick background! 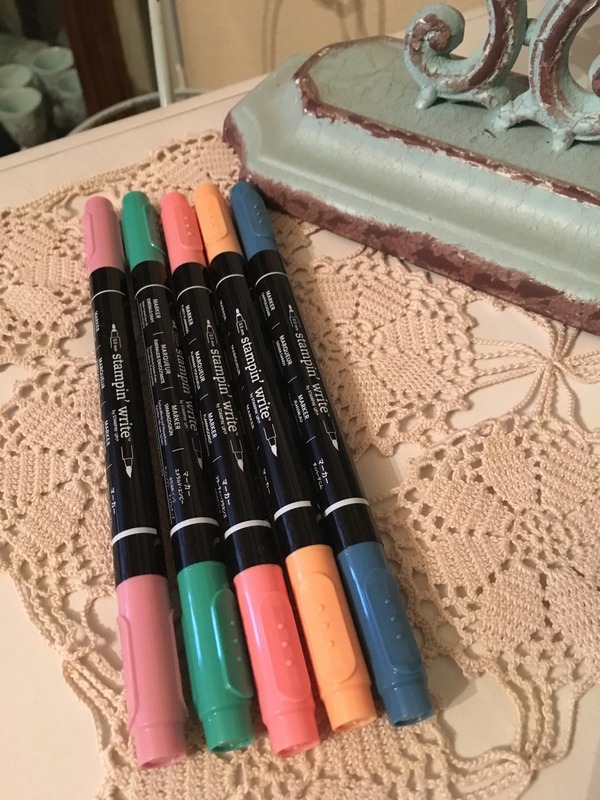 Thanks for the chance to win the markers! That is sooooo adorable! Totally like the kind if stuff I'm getting into! Love it!